Nothing says Christmas is coming more than festive décor, bright twinkling lights and perhaps a quick visit with Santa. As New Yorkers we flock to Manhattan to gawk at the enormous tree at Rockefeller Plaza and we ogle at the countless stores with their elaborate window displays. For a time the world (or at least the city) really does seem merry and bright. This sparkling holiday décor doesn’t only take up residence in the big city – it’s also happening all throughout Long Island. So before you grab a train ticket and metro card, consider staying nearby to enjoy the holiday light spectaculars that are just a car ride away. It’s always wonderful to support a good cause. And many will admit they’re happy to chip in some greenbacks to the Girl Scouts in exchange for countless boxes of Thin Mints and Tagalongs, but there are other ways to help out your local Girl Scouts that will get you in the holiday spirit and help you save on all the calories in those cookies. The Girl Scouts of Suffolk County will host the 12th rendition of their holiday light show. This dazzling drive-thru light show is a mile-long wooded trail leading into a beautiful display of twinkling lights and holiday inspired vignettes. This light show runs from December 11 to December 23 from 5-9 p.m., at $20 per vehicle (+ a per ticket service fee of $3). Plan ahead and purchase tickets by December 10 to receive a special offer where the service fee is waived. The proceeds of the event will benefit not only the Girl Scout program, but also their outreach efforts (anti-bullying, STEM workshops & activities, and many more). 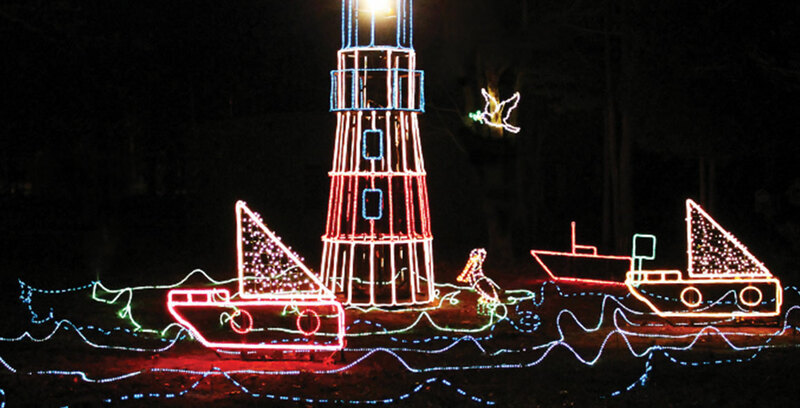 Located on Lakeview Avenue in Bayport, this is a rain or shine event (if the weather is severe and causes the light show to be cancelled, guests will be refunded). Purchase tickets online or call (888)-718-4253. Tickets cannot be ordered at the entrance of the show. The Jones Beach Holiday Lights Spectacular is back for another exciting and sparkling rendition of their infamous light show. 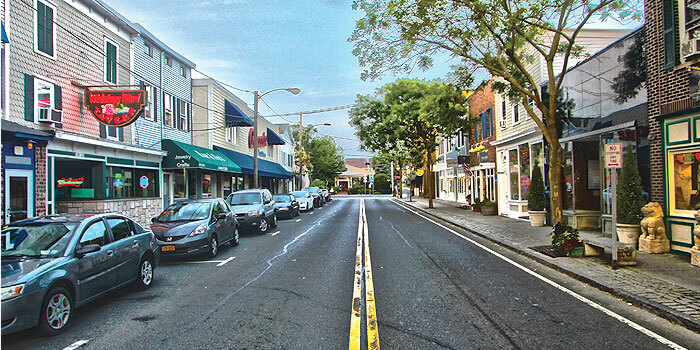 This year it kicked off early to bring the holiday spirit to Long Island, opening just a few days before Thanksgiving on November 20. The sparkling spectacular runs throughout December until January 3. There are more than 150 different light displays illuminating 2.5 miles of this bright twinkling wonderland. Inside the park, the Holiday Village includes some delicious snacks and refreshments – including a s’mores station – as well as holiday music, live performances by local school choirs, and even an opportunity to snap a selfie with Santa (the Holiday Village is also a heated area). Good to know: Santa will be there from dusk to 10 p.m. until December 23. The display is open Sunday thru Thursday from dusk – 10 p.m. On weekdays entrance is $20 per car, and weekends (Friday-Sunday) $25 per car. Tickets can be purchased online or upon arrival. To view the full Holiday Lights Spectacular schedule, including closure dates visit seetheholidaylights.com. Head over to the Brookhaven Ecology Site in Holtsville on Friday, December 4 at 6 p.m. for their Christmas tree lighting ceremony. This ceremony takes place outside, rain or shine. Santa will be making his grand arrival by helicopter, and while guests are waiting they can enjoy delicious holiday favorites like hot chocolate and candy canes. Everyone is invited to bring a new unwrapped children’s toy for the interface program. The Ecology Site also hosts their holiday light spectacular through December, starting on December 5 until December 20 (Fridays – Sundays) from 5:30 - 9:30 p.m. The sparkling light show takes place indoors and is a beautiful walk-through display. Once inside guests can stay as long as they’d like. 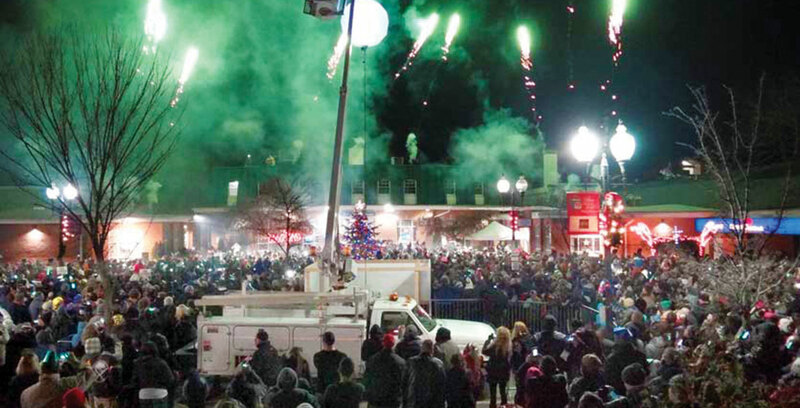 Along with the holiday light show there will also be fun games for kids to enjoy, raffles, a concession stand and an opportunity to take photos with Santa. The Holiday Spectacular light show is $5 per person, children under 3 are free. All proceeds support the Ecology Site. The Brookhaven Ecology Site is located at 249 Buckley Rd, in Holtsville.